Friends, I just landed back at home from a 4-day blogging retreat that I enjoyed with several friends in the mountains of North Carolina. It was a rare event that I loved greatly! I still wanted to quickly share with you my Easy Slow Cooker Chicken Parmesan Recipe that I published on YouTube while I was gone. Click here to watch the full Easy Slow Cooker Chicken Parmesan Recipe Vlog! This recipe couldn’t be easier if I tried! You won’t believe how delicious this makes your house smell while it’s cooking. Dump Parmesan cheese in and stir gently into the sauce. Shred chicken when done if desired and serve over noodles, or you can serve it over spaghetti squash or zucchini noodles for a Trim Healthy Mama S meal. I’m making this tomorrow. 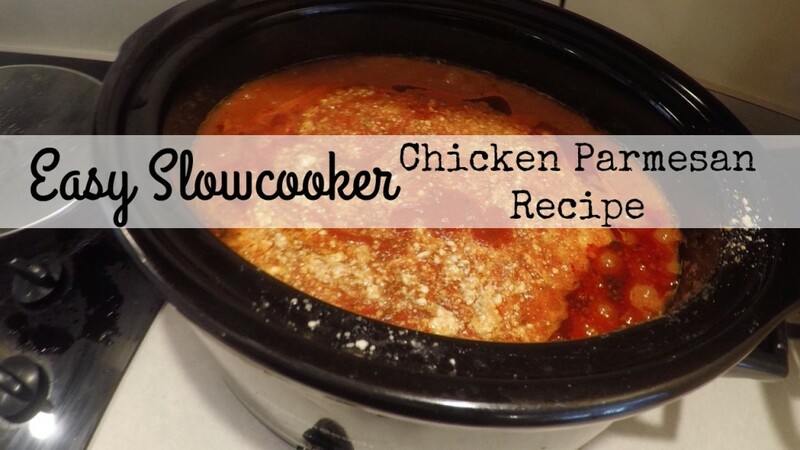 I need to have these quick crockpot meals on my queue. I have spaghetti squash too.